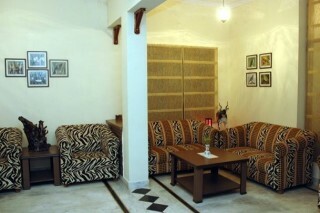 This is an offering of a private room in a shared cottage, which can accommodate up to three people. 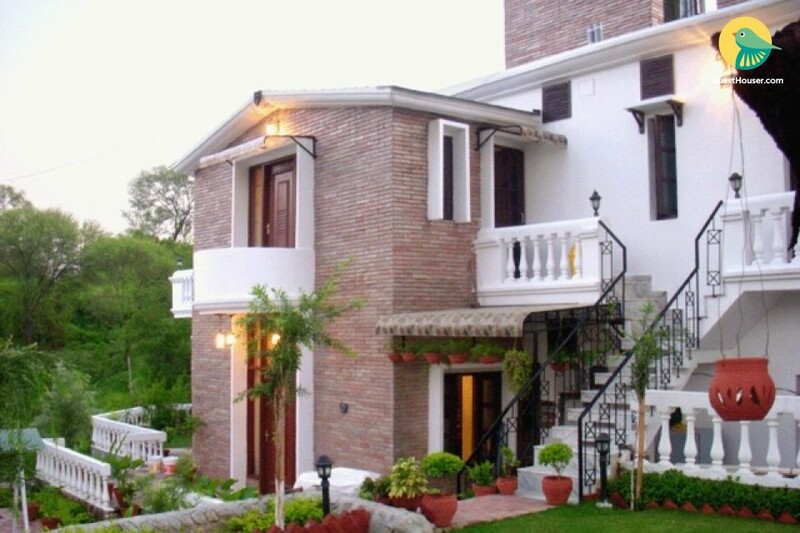 The property features a well-tended garden and has ample parking space. 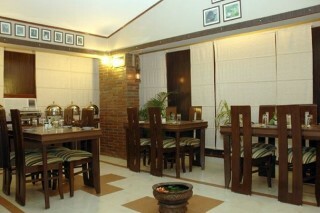 The host provides complimentary breakfast, and the room on offer is ideal for a couple. 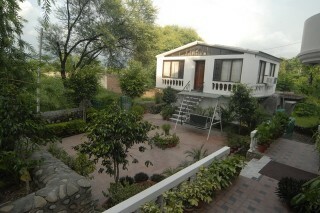 Your Space Surrounded by a landscaped garden, this cottage promises a refreshing break from your busy city life. The front courtyard is appointed with a swing, where you can sit back in the evening and savour a drink with your companions. A pool table is provided in the recreational area for you to have fun, should you find time to spare. The common sitting area is furnished with Lawson sofas, a centre table and a couple of corner tables. A television is also set up here, against a textured wall, for your entertainment. The television unit is stacked with some books and show pieces. 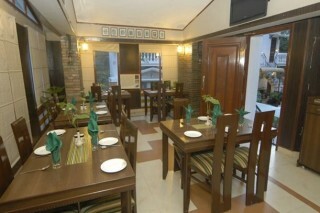 The in-house restaurant is furnished with dining tables for you to have a comfortable mealtime experience. The room on offer is air-conditioned and appointed with a cushy bed for you to have a good nights sleep, and a set of bedside tables and lamps for convenience. Coffee seating and a study table with a chair are also provided in this space for added comfort. 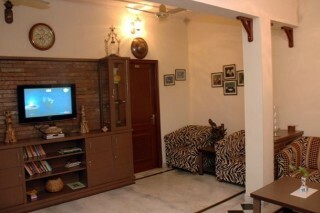 This property is located in Village Nawanagar, Dam-Baddi road. The lodge is 21 km from the city that serves as the capital of the states of Punjab and Haryana. Apart from trekking into the untracked trails of the forest to see wild animals and colourful birds in their natural habitat, guests can enjoy a day's picnic at Pinjore Gardens, FunCity and the Rock Gardens.